The Price Matrix Summary that allows producing highly tailorable Price presentations to be incorporated into your main Financial Proposal document. A versatile report Work packages vs Time Periods (Report 5111) that offers augmented reporting possibilities. Registration is now open and bookings will be recorded on the first booked, first served basis. To participate send your application to the following e-mail: ecoshelp@esa.int. 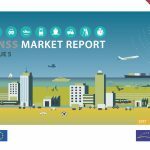 ESA normally do not accept more than 2 representatives of the same company at a given session to maximize the number of companies that can receive ECOS 5 training. Please note that you must already be acquainted with basic concepts of ESA procurement process. If you never used or only tried once ECOS before, ESA strongly recommend that you first get the Full Self-training Manual available for download at: http://www.ecosportal.com and complete it before attending this training. This will allow you to keep up with more confidence the training rhythm over the two days and may trigger some questions that will be answered during the training session. The course will commence at 09:00 on the first day and will conclude at 16:30 on the second day. 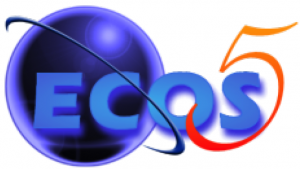 ECOS Training courses are free of charge. Costs for accommodation, travel, etc. are for the participant’s own account. Further logistic details shall be provided once your registration will have been approved.